"You guys did a great job providing a huge variety of scenes. Definitely the flavor of Planescape, or even the recursions of The Strange. And I for one would like to have my own time bathtub. For this Savage Realm of Suzerain enjoy an old school, killer dungeon in a fantasy setting that draws heroes from every corner of time and space! The Lich Queen awaits in her Palace. 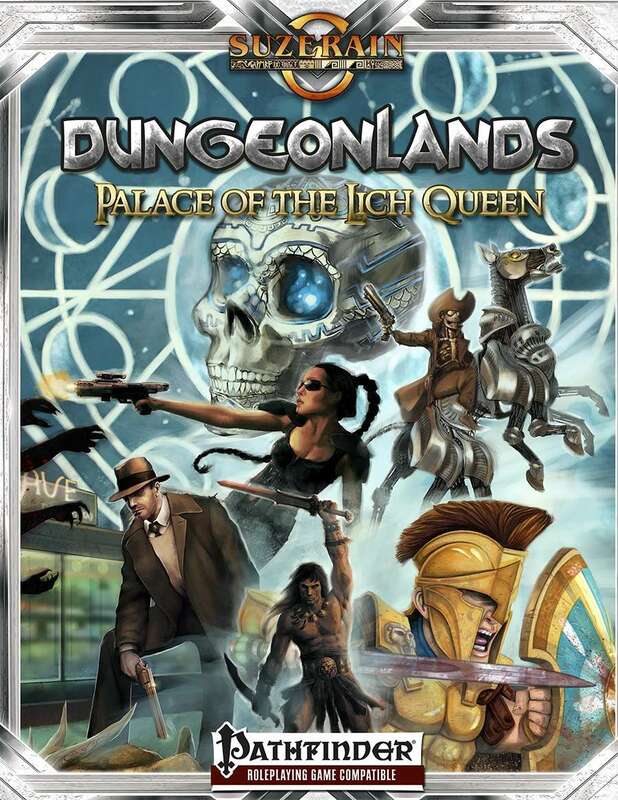 Your heroes have survived Tomb of the Lich Queen, pushed through Machine of the Lich Queen, and now must face the apocalyptic climax of the Dungeonworlds trilogy! Reality itself twists and roils all around. Prove yourself to the universe, take the final steps! Become a god...or a corpse! The cover may be old-school but this 217 page mega-adventure will take your Pathfinder game to Realms far beyond the usual: classic high fantasy, mythological homages, horrific demiplanes, modern-day pulp, post-apocalyptic, and much more! Inside you'll find all you need to run this unique setting, all the background information and encounters needed to challenge a party of 18th- 20th level characters including the stats for a wide array of new creatures and traps! How come it is not available as a watermark PDF Only? Hi Andre R. This is very strange and should not be happening. The other products in the line are set up the same, yet you can select the watermarked pdf only for them. I've sent in a request to the very fine folks here on Drive Thru and I expect that this item will be fixed very soon. I'm happy to see it's probably just a glitch, because I was sure I had put the PDF only (like for the 2 others) in my Wishlist and was worried it was no longer an available option. Will this final book of the trilogy be offered in as a hardcover as well? I own the first two installments of the trilogy in hardcover, and would like to have the entire set in the same format if possible. Palace of the Lich Queen has always been intended to be offered in both Hardcover & Softcover formats. In fact, they've just finished going through approvals and I have made all versions live. Thanks for the heads up and the reminder to check on this. Chris Bivins, Nicholas Cloister, Jessica Cox, Dennis Darmody, Jason Engle, Bien Flores, Jim Pavelec, Alida Saxon, Carly Sorge. This title was added to our catalog on December 07, 2014.